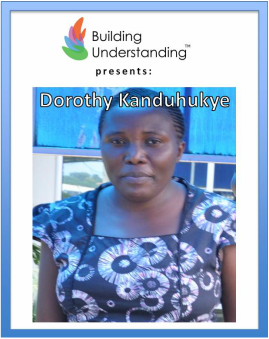 Join Dorothy Kanduhukye to learn about her work as the Information and Membership Officer of Uganda Women Entrepreneurs Association Limited (UWEAL), an organization whose main objective is to support women entrepreneurs through capacity building, networking, and advocacy. 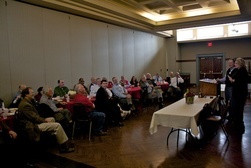 Dorothy is responsible for planning member events, including the Annual General Meeting and numerous networking events. She also maintains UWEAL's database, sms, social media, and website. As a dynamic community builder and business professional, she blends her expertise in project planning with her passion for grassroots projects in sustainable enterprises. Dorothy intends to carry out a Grassroots to Market project designed to improve the competencies of 100 rural women through entrepreneurship skills training, mentoring, and networking. This project will help the women develop the strengths, abilities, and resources to create better lives for themselves and their communities.